I was talking to veterans within Singapore, China and Europe in the oil and gas industry for the past week. When asked about sentiments with respect to the falling oil price, most will say it is a concern for the next two years but things should turn positive from 2017 onwards. Another who is more than 30 years in the business said that oil price always go through the up and down cycles, eventually it still goes up, therefore nothing to worry about. Below I present Rolf’s views on the oil price effects and how it will affect different segments / companies. Brent Crude Oil price plummeted 28% on 15 Oct to US$80 a barrel since Jun 19. It is the lowest since Nov 2010. Oil and Gas stocks share price were all adversely affected. Why? 3 main reasons as follows. Since discovery of Shale Gas, US had been producing own oil. Output was increased by more than 65% since 1986 making the country less dependent on oil producing countries in Africa and Middle East. Saudi Arabia the largest OPEC member led the reduction of oil price by increasing supply. 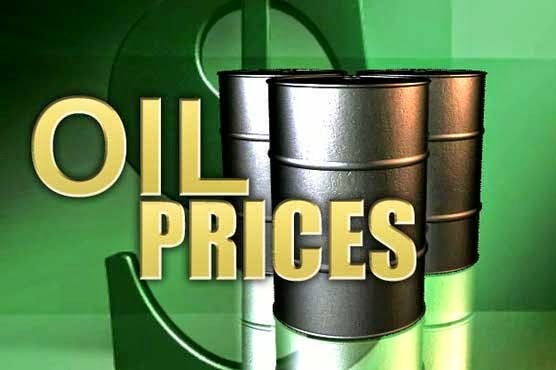 It is apparent that this is a move to teach the US “shale boys” and the both sanctioned countries of Iran and Russia a lesson, for these countries required a higher oil price to make their production sustainable – typically > US$80 a barrel to be economical. In Libya, the rebels allowed shuttered oil fields and terminals to resume operations increasing production from just over 200k barrels produced in May to 1.5 million barrels of oil a day now. Economies in China, Russia and Europe all slowed down compared to previous years, hurting demand for oil. IEA reduced global oil demand forecast by as much as 35% lately. The harsh winter of 2014 is nearing and this will give oil demand a boost. Oil price should still be hover around US$80 in the near term since a lot of production for 2015 had already been hedged at US$95 to 100 a barrel. Oil price may continue to drop to a stage where shale gas production is no longer feasible forcing a reduction in output. Data estimate that most shale gas producers require US$70 to 90 a barrel for production to be economical. Therefore there is possibility that oil price may even break below US$70. On the other hand, National Oil Companies (NOC) will take opportunities to stock up oil reserves at a lower price especially China who relied on imports to meet 57.4% of its crude consumption in 2013. Long term depressed oil price definitely does not do OPEC any good as they are dependent on the revenue from oil production anyway. Therefore long term fundamentals still sound. It is clear that with oil price drop, CAPEX for exploration and production will be reduced. I mentioned in my post in June this year (refer here) that Jack Up Rigs oversupply will be a concern. Now with oil price potentially falling in the next 2 years, we should be careful with companies who are not true drilling contractors without oil majors contracts. These companies are speculators who ventured into rig-owning business to expand. Be aware that any twist of fate will sink the speculators such as Marco Polo, Falcon Energy, Viking Offshore. Evidently, Keppel O&M and Sembmarine orders from Jack up will decrease after hitting a peak in 2011. In particular Semb Marine Drillship orders for deepwater should also see a decline as it is more costly for oil production in deepwater. Cut throat competitions from China is another concern. While it is expected that earnings from O&M will fall in the mid-term (analyst estimated up to 30% decline in EPS), outlook over long term is still positive. Both companies have strong order books of more than ten billions each and strong balance sheet. Its ability to continue receiving new orders (outside rig segments) should also provide added assurance. With falling oil prices, repair and servicing of vessels may become a more viable option for owners. Sembmarine new Tuas yard may benefit from this. FPSO segment should continue to be strong included within Brazil Petrobras CAPEX plan. Similarly for LNG segment. Shallow water accounts for 80% or more of all offshore oil produced. Oil production in shallow water cost est US$20-50 to produce. In South East Asia it cost as low as US$20 a barrel, while in Middle East it cost est. US$25-30 a barrel to produce. Oil price drop has lesser impact in shallow water compared to deep water segment which need higher oil price to be economical. National Oil Companies (NOC) should continue to expand their capex particularly in shallow water since it is still highly profitable even if oil price is just US$80 a barrel. The age of the vessel is a concern for oil majors as they prefer younger and more efficient vessels. Malaysian Petronas has age limit at 15 years, while France’s Total required a limit of 20 years. Mexico’s Pemex has the most stringent criteria with age limits of between 10 and 12 years depending on the vessel type. The cabotage or local content principle in Malaysia and Indonesia requires vessels operating within the country waters to be domestically owned and carrying the country’s flag. Companies with vessel that satisfy the local cabotage laws in Indonesia and Malaysia should also stand out among their peers. Nam Cheong – largest suppliers of shallow water AHTS in the world. It’s new fuel-efficient vessel in house-design NC80E already start selling like hot cakes. This is a vessel with mass market technology, more modular, and can allow the company deliver fast and at a lower cost. Cabotage law is also advantage for Nam Cheong having its base in Malaysia and recent JV with Marco Polo venturing into chartering business in Indonesia. But undoubtedly oil price fall will prove risky for its Build-To-Stock model especially on the financing. Remember the worst had occurred in 2009, but the company did put through those difficult periods and become more resilient ever since. Vallianz – has contracts with NOC in Mexico (PEMEX), Saudi (ARAMCO) and China (COOEC). With Middle East continue to increase oil production, Vallianz JV with Saudi Rawabi is in a good position to tap this opportunity. Moreover Vallianz’s shallow water OSVs are at young age of 2.3 years on average. Its recent multiple placements of shares to acquire shipyard and crewing companies were at S$0.138 a piece more than 50% above its current share price of 91Sc. Overall, the company should be buoyed by strong orderbook of more than US$500 mil. The key risk will be financing of vessel growth which the company is heavily leveraged on. One way the company reduce risk in the financing is to build vessels cheaply in Chinese yards, with financing risks burden bear by the yard. Ezion – One of the Largest Liftboat suppliers in the world. Liftboat is most optimal in its operations for Enhance Oil Recovery of aging fields, which is one major problem faced by most South East Asia NOC today. Ezion’s contracts today are mainly with NOC and the company is hoping to start a new era in Liftboat. Malaysian billionaire Tan Sri Quek Leng Chan also snapped up more than S$100mil new shares at S$1.94 a piece signalling confidence in Liftboat business in this region. Its subsidiary Charisma Energy, JK Tech had also won orders this year combined worth more than US$66mil. 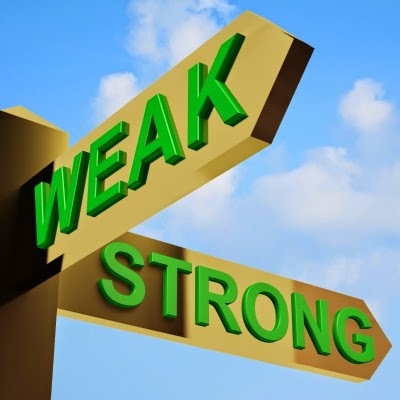 Typical risk of a growing company is leverage and Ezion is no different. It has net debt/equity ratio of 87% with no free cash flow due to re-investments in vessels. We will also start seeing new entrants into the Liftboat business providing competition. Swissco – Expanding into Liftboat market to emulate Ezion’s extraordinary success over the past few years. Continue to receive OSV chartering orders recently signalling it’s strength in its traditional business. Same leverage risk as Ezion as it grow its liftboat business. Pacific Radiance – Not part of my portfolio and did not go into detail in the analysis. However its business model greatly satisfies shallow-water NOC contracts, cabotage law, young fleet advantages mentioned earlier. Moreover its chairman Pang Yoke Min had been acquiring close to 3 million shares in the past week. A very detailed analysis, offshore and marine stocks are cyclical and I am also not in favor of buying O&M stocks, even if present prices present are attractive. It's about Top Down vs Bottom Up. Top Down is easier to understand while Bottom Up requires more in depth analysis and understanding of the company and market. No right or wrong for both approaches. Agree that O&M is cyclical and we should exercise caution now. This is especially when you are not familiar with what you are investing. Just look at the price action of O&G plays this Monday!? Haha. I am not so influential even if it's a "jinx-ful" manner. I am not Ding Xie and does not have the "Ding Xie Effect"
Based on your analysis, offshore and marine companies with exposure to NOC contracts has a higher chance of surviving the next couple of years of relatively low oil price? Thanks for visiting again. Yes NOC contract and shallow water sector but not Jack up. I prefer liftboat and OSV. The abundance of Jackup delivered in the last 2-3 yrs require OSVs. Pessimism of oil price effect will be delayed. And hopefully by then optimism will set in again because I see OPEC price reduction as temporary. Having said so, oil price dipping still overshadow. It is just like property sentiments, Oil majors know price is low, they will try to squeeze margins of the supply chain down.. While O&G is cyclic but I think the current dip in prices is related to a "over-supply" intentionally created by OPEC. It is necessary to re-balance the over production of shale gas. Also I reckon that China consumption drop is temporary. China is re-organizing themselves and will become strong again with urbanization and further population growth (young ones)! Also unlike in 2008/9, where I personally gone through in my career, there is no euphoria in Oil price. In 2008 oil price peaked to usd150 a barrel and fundamental is weak, with so many speculation couple with irresponsible financing from the banks! The situation now is different! Just my thoughts. I definitely can be wrong. Its always important to hear the views of the people in the industry! I think the demand for O&G is fundamentally strong in the long term. Urbanization is not just in China, its going to happen in India too, albeit with some doubts. A lot depends on the current Modi government and the implementation of its plan to increase manufacturing contribution to India's GDP from 15% to 25%. If successful, it's going to be a huge push for energy! Oil is after-all finite. Shale gas is unlike natural oil fields, they had shorter life or at least not tested to have long life, and also more complicated to extract. Moreover health hazards exist according to experts. Ultimately, demand in the world will outstrip supply again as population grow. China and India will lead consumption again. Agree with you. Let's be patient. Some wise men says it's better to nibble over time, not swallow at one go. I think it makes sense!